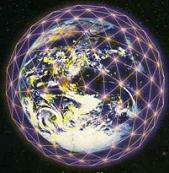 Humanity is on the brink of a quantum leap in consciousness. It is a spiritual evolution of consciousness that is awakening humanity to its true purpose here and Divine origin. Many conscious individuals on spiritual path are preparing for this in their own unique ways. They realize that now is the time to awaken to their origins and to realize the potential we as human beings have to take responsibility for ourselves and for the planet Earth. 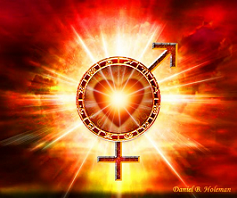 Twin Flames have a special contribution to make and they are coming together in numbers at this time to assist with the ascension process both at the individual and planetary level. When Twinflame join together in harmony and love, they generate a vortex of energy that can be imagined as a light in the darkness of society's consciousness. Through the reunion of the Twinflame energies, and by complementing and completing each other energetically, the whole becomes greater than the sum of its individual parts. The two create three--a trinity--and the third aspect is a very potent force of love and light at an extremely heightened and pure level.